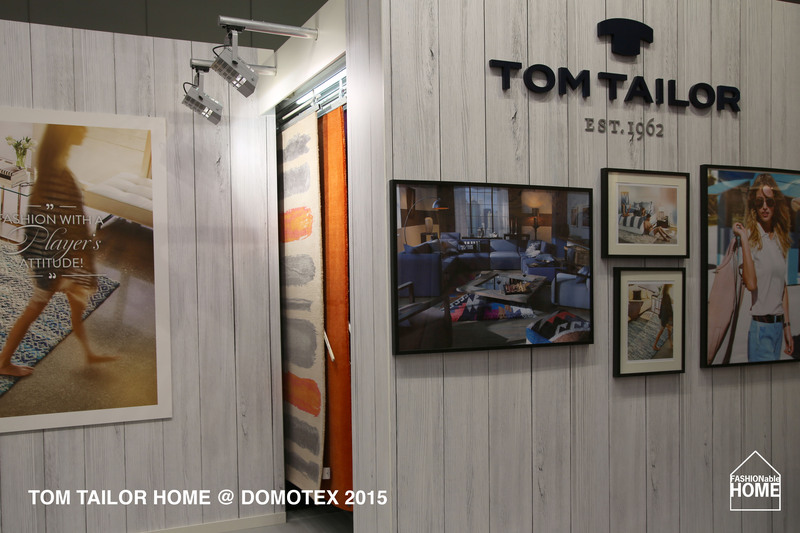 Following the success of the soft high pile range over the last years, TOM TAILOR carpets have now launched a bunch of new carpet designs and new qualities. 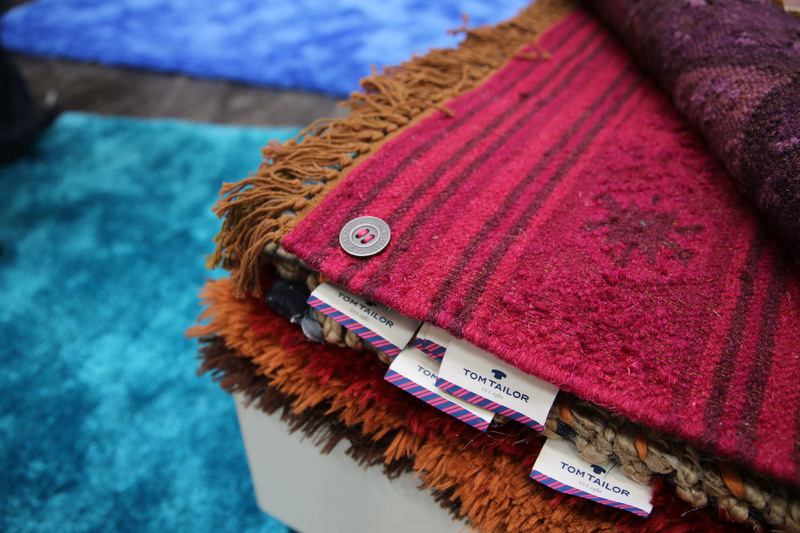 We liked “Blue Diamond”, the over-dyed coloured kelims KELIM COLORS, the new flocatic high pile range and the printed carpets. 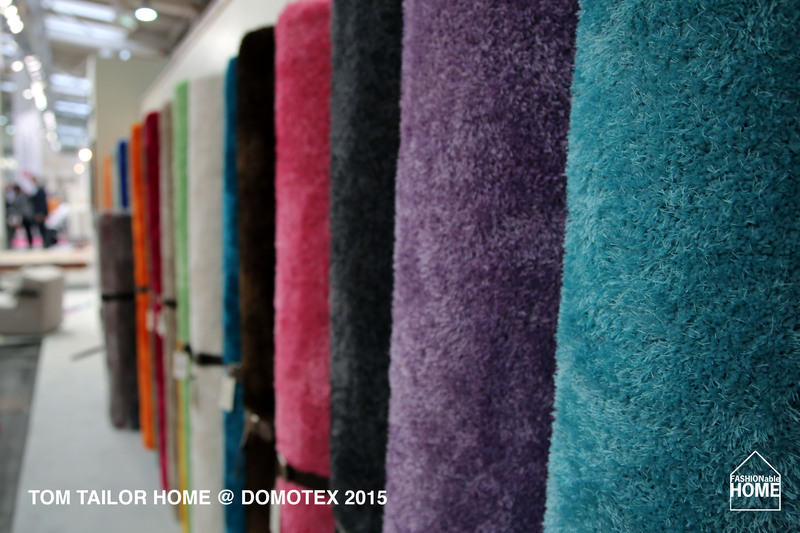 Parallel to the new carpets the stand had an impressive wall covered with rolls of the “Soft” carpet range – all tied together with belts. 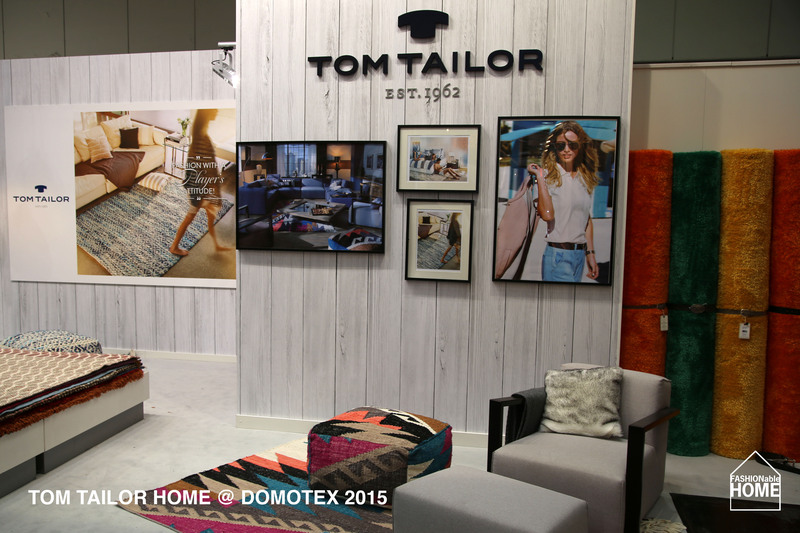 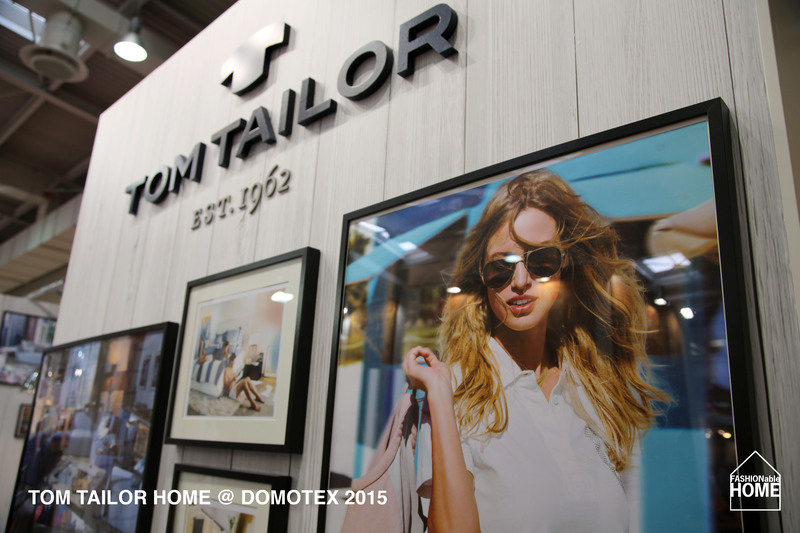 This entry was posted on February 10, 2015 by Chef de Cuisine in Fairs, Home Collections and tagged Carpets, Cushions, Domotex, Domotex 2015, Home collection, Kelims, Soft, TOM TAILOR, TOM TAILOR CASUAL HOME.